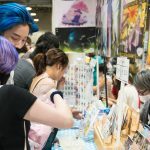 Whether you want to bring your children with you to explore Anime Expo, or your kids are begging you to take them to the show, this guide outlines everything you need to know, plus some tips for making the most of your time at AX. What kind of badge do I need for my child? Under the age of 5: There is no cost for children 5 and under to attend Anime Expo. While they do not require a badge, we do have wristbands available for pick-up in the Registration Area that can assist with identifying your child in the event that they wander off and get lost. These wristbands are optional; though we do highly recommend them as a safety precaution. Ages 6-13: Child badges have the same access as a 4-day badge. Attendees age 13 years old and under must be accompanied by a parent or guardian over the age of 18 for the duration of their time at the event. Child badges can be purchased with a 4-day or 1-day general attendee badge. No 1-day child badges are available. Ages 14-17: Anyone 14 and older must purchase a 4-day or 1-day general attendee badge. Attendees under the age of 18 must be accompanied by an adult to pick up their badge. We recommend attendees ages 14-17 have a parent or guardian close by for the duration of the event. In the event that you miss the badge mailing deadline, badges can be picked up at the Registration Area in Gilbert Lindsay Plaza, adjacent to the Los Angeles Convention Center. Remember to bring your valid, government-issued ID for pick up. Wristbands for children ages 5 and under are available for pick up on-site during normal registration hours. Visit the Event Operations room 508A, located on the upper floor of West Hall in the Los Angeles Convention Center. Any minors who are unable to locate their parent or guardian should visit the nearest SafeSpace at any Info Services booth for assistance. SafeSpaces are marked with signs featuring Chikara, pictured right. We suggest you point out these SafeSpaces to your child and review a “what happens if I get seperated?” scenario with them. SPJA has adopted a zero-tolerance policy regarding actions or behaviors that threaten the safety of young people, including violence, bullying, sexual harassment, sexual assault, and other inappropriate or potentially harmful actions or behaviors. SPJA views the safety and security of all participants—especially young people— as a top priority. As a part of our commitment to ensuring that Anime Expo is an all-ages event, access to mature content is protected and limited to 18+ attendees only. 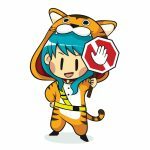 Participants at Anime Expo may not openly display mature content of any kind. A valid, government-issued photo ID is required in order to attend any 18+/21+ event or enter any 18+ booth. To help ensure a safe environment at Anime Expo, all Anime Expo volunteers are required to complete Youth Protection Policy training and undergo a background check. Feel free to visit SPJA’s Youth Protection Portal for more information. Whether you have just one day or the full weekend to discover all that AX has to offer, keep in mind these events which are good for kids (and adults too). Culture Day: Experience Japanese traditional culture such as taiko drumming, ikebana (flower arranging), and more. Career Day: Interested in working in the Japanese pop culture industry? Learn from professionals in voice acting, translating, and more. Academic Program: The Anime Expo Academic Symposium (AXAS) is a special track of programming featuring conference-style panels presenting scholarship on anime, manga, and Japanese culture to Anime Expo’s attendees. 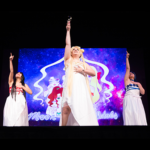 This program grants unique opportunities for scholars to share their work with a diverse popular audience, for fans and scholars to share their enthusiasm with one another, and for all to delve deeper into the world of Japanese pop culture. Kids Day: One of our video rooms is dedicated to family-friendly anime series on Kids Day. Look out for updates on Kids Day programming when the schedule is available. Masquerade: This ticketed event celebrates cosplay and its creative costumes and performances are sure to impress and inspire. Artist Alley: Budding artists and anyone who appreciates art should check out Artist Alley, which is located in Kentia Hall. A fan-favorite, it’s one of the largest gathering of amateur and semi-professional artists at any convention. More than 500 artists showcase their original artwork, prints, crafts, clothing, and comic collections. Tabletop Gaming: When the time comes to get off your feet, the kids will enjoy the Tabletop Gaming area in the Entertainment Hall. With tournaments, learn-to-play, and free-play sessions, there’s something for everyone at all skill levels. Some events during Anime Expo may also require a ticket, in addition to a badge. These are called, “Ticketed Events.” Ticketed Events include, but may not be limited to Masquerade, Concerts, and AMV Competition. If you’re interested in attending these events, you can buy your tickets online ahead of time or you can purchase them onsite at the Ticketing Booth, based on availability. (AMV Competition tickets are free and available for pick up on-site.) The rules and requirements for event tickets are the same as the rules and requirements for Registration. Please see our Policies page for more information. Children under the age of three (3) years old may lap sit without a ticket for ticketed events. If a child under the age of 3 requires a chair, they will require a ticket. All children 4-years old or older will require a ticket for ticketed events. PLEASE NOTE: Please remember to check the contents and the duration of each event and use discretion when purchasing a ticket for a child. Many of our events may not be suitable for young children, and some events run for longer than 2 hours without breaks. Yes, strollers are permitted. Please be aware that the only designated stroller parking area is located in the back of the Main Events Hall. For panels, strollers cannot block aisle or exits, please put the stroller against the wall or in the back of the panel room and have your child sit on your lap or in an adjacent seat. Wagons, however, are not permitted. Autograph Policy: Please be aware that autograph procedures may vary per guest. Autograph signings are limited, so be sure to plan accordingly if your child wants to meet their favorite voice actor or other talents. We also recommend checking their respective social media for information. Quiet Lounge: Attendees can rest their feet away from cameras and other people. While we don’t recommend napping here, it’s a great place to just relax and get away from the convention’s frenetic and busy atmosphere.